TS ECET Exam Dates 2019 are available now. Recently, the Telangana State Council of Higher Education announced the ECET Exam Dates 2019. Telangana ECET exam is an entrance test for the Diploma and B.Sc students. Check TS Engineering Common Entrance Test Exam Important dates, eligibility, counselling dates, last date of exam, application last date, verification centres from the following sections of this page. Telangana ECET 2019 Dates Released !!! The candidates who are interested in studying B.tech can apply for TS ECET exam. Therefore, the interested candidates can apply online for Telangana ECET Exam. The Telangana Engineering Common Entrance Test is only for the lateral entry students. So, the willing candidates can apply for the TS ECET exam. The applicants have to check the exam dates and start their preparation. Exam dates are very important to write the exam. The applicants have to know the exam dates. The Telangana Engineering Common Entrance Test Exam Important dates, application mode and other details are clearly given in the below sections. So, the applicants of ECET exam can get the complete details on this page. The Telangana Engineering Common Entrance Test Exam Important dates, application mode and other details are clearly given in the below sections. So, the applicants of ECET exam have to read the below paragraphs carefully. Organisation Name Telangana State Council of Higher Education. Name of the Institute Jawaharlal Nehru Technological University, Hyderabad. Name of the Exam Telangana State, Engineering Common Entrance Test. Notification Release Date March 2019. Starting date for Application March 2019. Last date for Application April 2019. 1. ECET Notification Release Date March 2019. 2. Commencement of ECET Application Form March 2019. 3. Last date to apply online for TS ECET April 2019. 4. Corrections in Submitted Online Application April 2019. 5. Online Application Submission with Late Fee Rs.500/- April 2019. 6. Last date for submission of online application with fine Rs.1000/- April 2019. 7. TS ECET Application Submission with Late fee Rs.5000/- April 2019. 8. ECET Online Application Commencement with Rs.10,000/- fine May 2019. 9. Download Hall Tickets May 2019. 10. 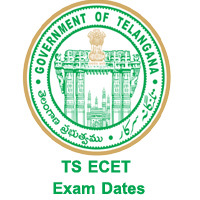 TS ECET 2019 Exam Date 11th May 2019. 11. ECET Preliminary Key May 2019. The JNTU Hyderabad issued an announcement for the B.tech students. The applicants who want to join directly in the second year of B.tech have to qualify the TS ECET exam. Therefore, all the eligible and interested candidates can apply online before the last date of the TS ECET Online Application. The Jawaharlal Nehru Technological University Hyderabad released Admit cards for the applicants before the exam dates. Therefore, the applied candidates have to download ECET admit card for attending the Telangana ECET exam. For further more details about TS ECET Exam Dates, you can also refer official notification. The exam dates are essential for applying any exam. Without knowing exam dates you can’t attend the exam. The candidates who applied for TS Engineering Common Entrance Test have to know the important dates of the exam frequently. By knowing the exam dates applicants can start their preparation. Therefore, we are providing the important dates of TS ECET exam for the applicant’s convenience. So, the applicants have to check the exam dates of TS ECET exam after applying online. Hence, the applicants have to attend the TS ECET exam conducted by JNTU Hyderabad on the scheduled dates without fail. I want replce ecet exam ……………………………………….? hi sir, i wrote e-cet re-exam entrance , but i want to go for counseling with first rank card, can get seat with first rank card?